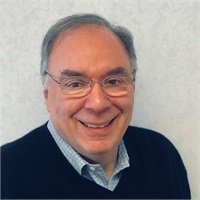 Floyd Ozeck | Cooper Financial Services, Inc.
Floyd Ozeck is a Financial Advisor and CPA with Cooper Financial Services, Inc. Floyd has been providing Financial Planning and Advisory services for over 15 years and is a Certified Public Accountant in Connecticut. Floyd takes a comprehensive, client-focused approach to financial planning to ensure that the recommended programs encompass each client’s financial goals, time frames and risk tolerance. Floyd specializes in investment analysis and works closely with clients to develop customized financial strategies that incorporate asset allocation, financial management, retirement planning, college planning and succession planning.